The Westerby Group will be attending events at the Midlands Business Network Expo 2019. The Leicester-based financial services group has booked exhibition space and speaking slots at three iconic sporting venues where the Midlands Business Network Expo will be hosting B2B networking events. On Friday 1 February the Westerby team will host an exhibition stand at the official home of the Wasps Rugby Club, The Ricoh Arena, Coventry from 10:00 am – 3:00 pm. Westerby will also be hosting an exhibition stand and hosting a seminar at The Edgbaston Stadium, Birmingham, the home of Test Cricket and One Day Internationals, on Friday 8 March 10:00 am – 3:00 pm, with the seminar running from 11.00 am to 11.30am. The King Power Stadium in Leicester will be the venue for the Midlands Business Network Expo on Friday 17th May from 10:00 am – 3:00 pm. Westerby will host an all-day exhibition stand with a seminar slot from 10.30am and 11am. Hosted by Business Development Director Ian Jarvis and Senior Financial Consultant David Santaney, the seminars will explain the advantages of SME’s using their pension funds to buy commercial property to operate their businesses from and how this can also help build a valuable retirement fund. 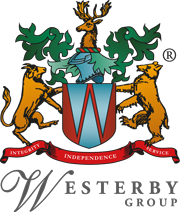 Westerby Investment Management is a leading firm of Independent Financial Advisers. Westerby Trustee Services is a specialist provider of pensions on a “member-directed” basis (SIPP and SSAS) which enables individuals to choose their own pension investments (subject to HMRC rules) including commercial property used for business purposes. The Midlands Business Network Expo’s flagship business events provides a platform for B2B networking, PR and profile and business connectivity across the Midlands region. Each event hosts more than 100 exhibitors and 1,000 visiting businesses to provide fantastic networking opportunities.